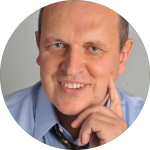 Doug Brooks, longstanding leader at Chili’s restaurant chain, was recently interviewed in Dallas, TX, at the Association of Healthcare Foodservice Conference, in front of a live audience that included your humble blogger. It was an intimate, insider’s look at the beginnings and growth of the important casual dining restaurant segment. 80% of success is showing up (Woody Allen). Sinners can repent, but stupidity is forever. It’s nice to be important, but it’s important to be nice (his Mom). People may not remember what you said, but they’ll remember how you made them feel. The most important skills are curiosity and listening. If you want to have goals, have goals about learning and skills. Master the job you have now. Teach the job you used to have. Prepare for the job you’ll have next. To learn about his competition, Doug used to walk around competitor’s restaurants and pose as management and ask customers how their meal was. He would stand by the door as customers left and ask them about their experience. Now that takes some nerve! Then he got found out, and starting sending his teenage son as a stand-in. Chili’s recently spent time at their headquarters standardizing how they refer to their customers (guests), their employees (team members) their headquarters (restaurant support center), among other things. How we name things matters; it shapes our thoughts and attitudes. Very true. Doug found in his files over 50 handwritten notes he had received from Norman Brinker his mentor, over the years. Writing hand-written notes was a way Brinker had of connecting with and showing personal appreciation for his team, something Doug adopted. The Brinker management philosophy was a ‘take care of people’ philosophy – take care of your team and they’ll take care of your guests. Respect people, but also expect them to be accountable. 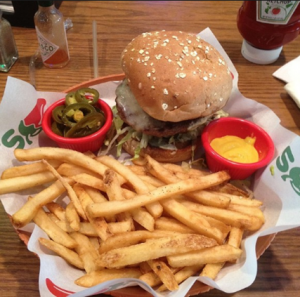 Chili’s popularized the casual dining concept; the space between fast food and fine dining. 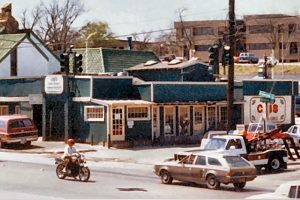 1975, the first Chili’s opened in Dallas. No dressing up, the atmosphere was casual and fun – jeans and sneakers. Known as hamburger hippies, they just knew how to make great burgers and fries. 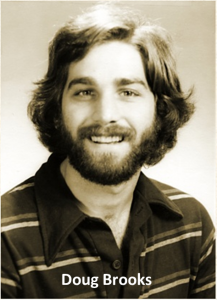 1978, Doug began work at Chili’s as a barman. 1983 – Enter Norman Brinker, acquired Chili’s. 1984, Brinker International became a public company; went on to become a Fortune 500 company, with several other restaurant brands. Doug had a highly successful, 35 year career at Chili’s working his way up to CEO/Chairman. He stepped down only recently and still consults with the firm. Chilis/Brinker’s has had a long-standing relationship with St. Jude Children’s Research hospital, giving as much as $50 million over the years. There’s a lot to be learnt from Doug’s story about passion, commitment, mentoring and focusing on people, both your own and your customers. Next time I go to a Chili’s I’ll savor my fajitas with a whole new perspective, thanks to their, and Doug’s, absorbing story. My thanks to Doug, Gerry White of Plate Magazine (who did the live interview) and the Association of Healthcare Foodservice for making it happen.